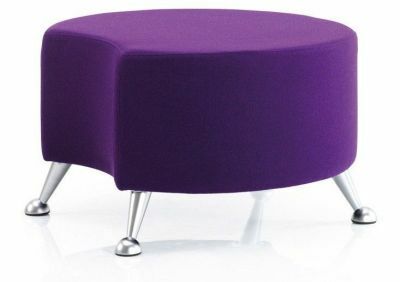 Rollie low seating wit Brushed Chrome metal legs and a cut out for use when connecting with other stool sin this range. Available in a wide selection of contract fabrics and vinyls. 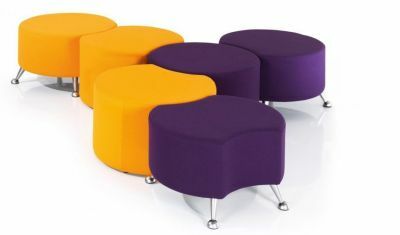 Contemporary upholstered low seating in modules, to be used together to make an effective piece of furniture. Ideal mainly for plush waiting areas or breakout areas.